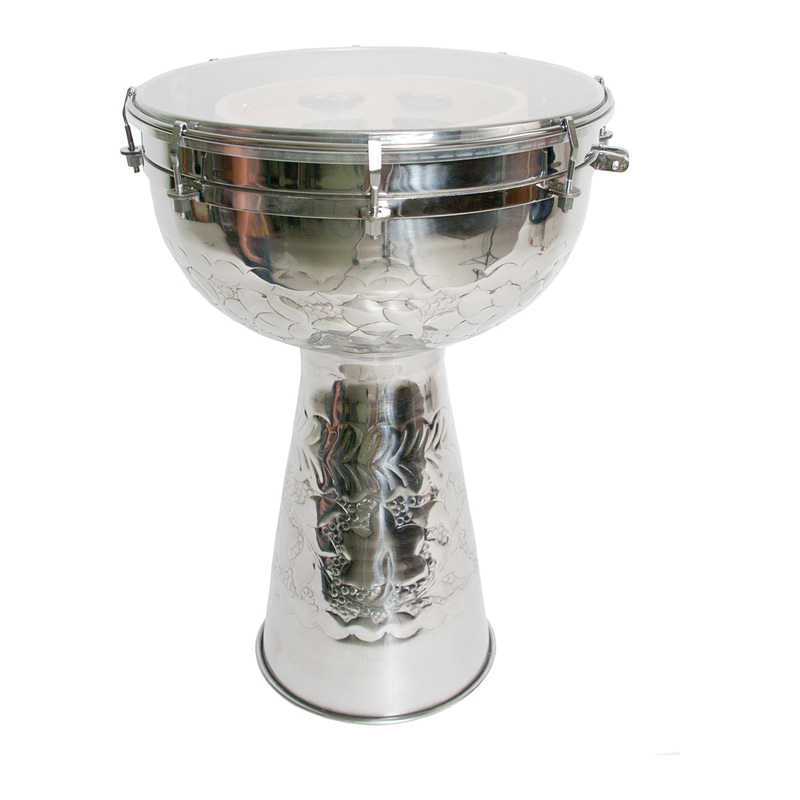 Mid-East 18 x 12 Inch Metal Doumbek Synthetic Head + Internal Jingles. Nickeled brass doumbek. Engraved with floral patterns, jingles mounted inside. Tunable with bolts. Comes with a synthetic head, color and opacity of head can vary. Includes tuning wrench. Other styles of head sold separately.